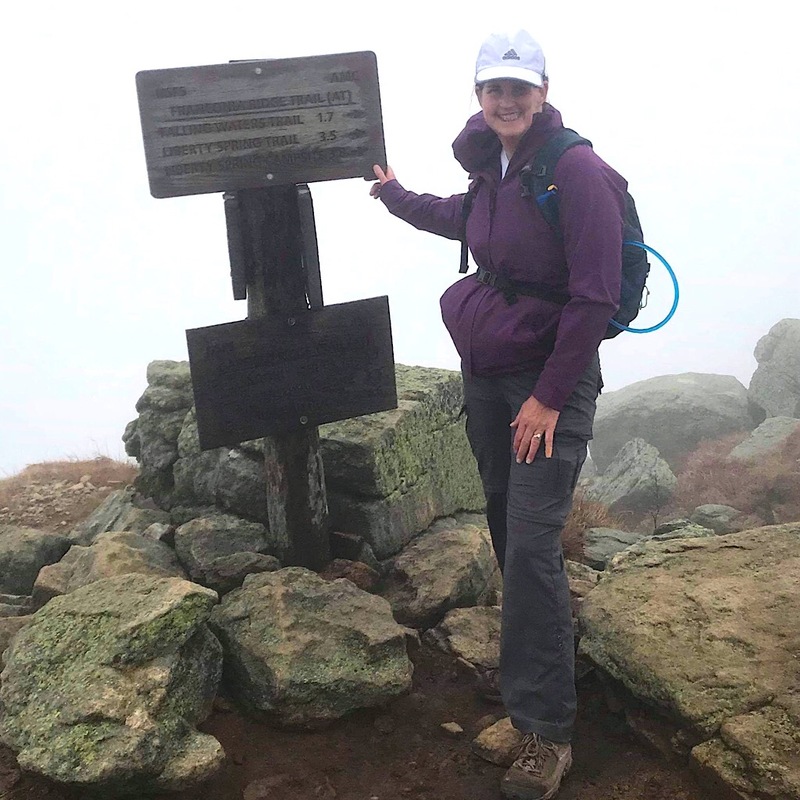 A recent guest from sunny California, Nancy, was staying at Loon Mountain and wanted to hike with us for a day. 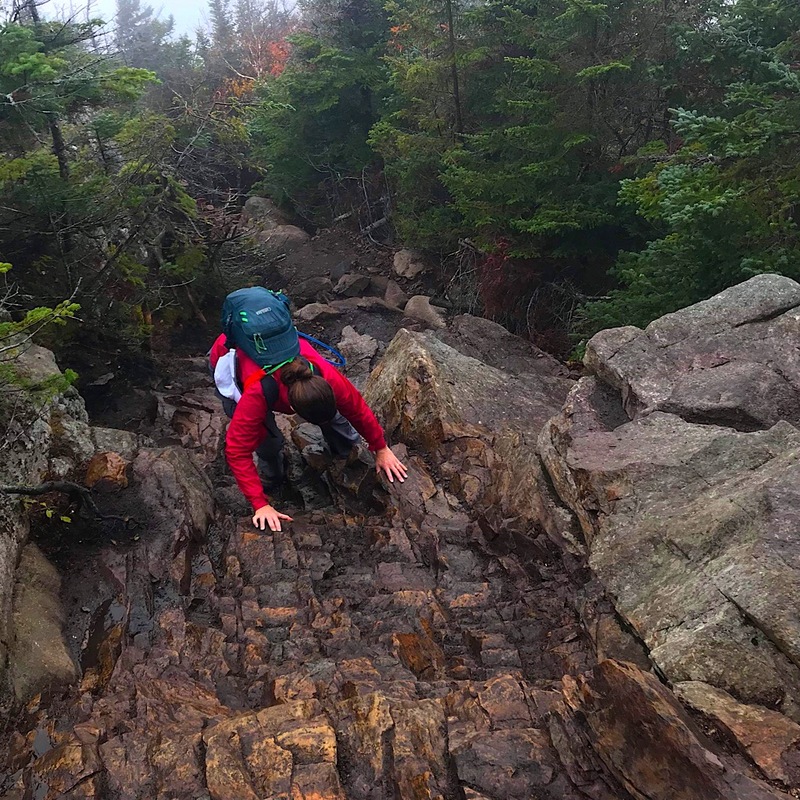 We decided the conveniently located 5260-foot Mt Lafayette would be a nice mountain for her to experience and enjoy. 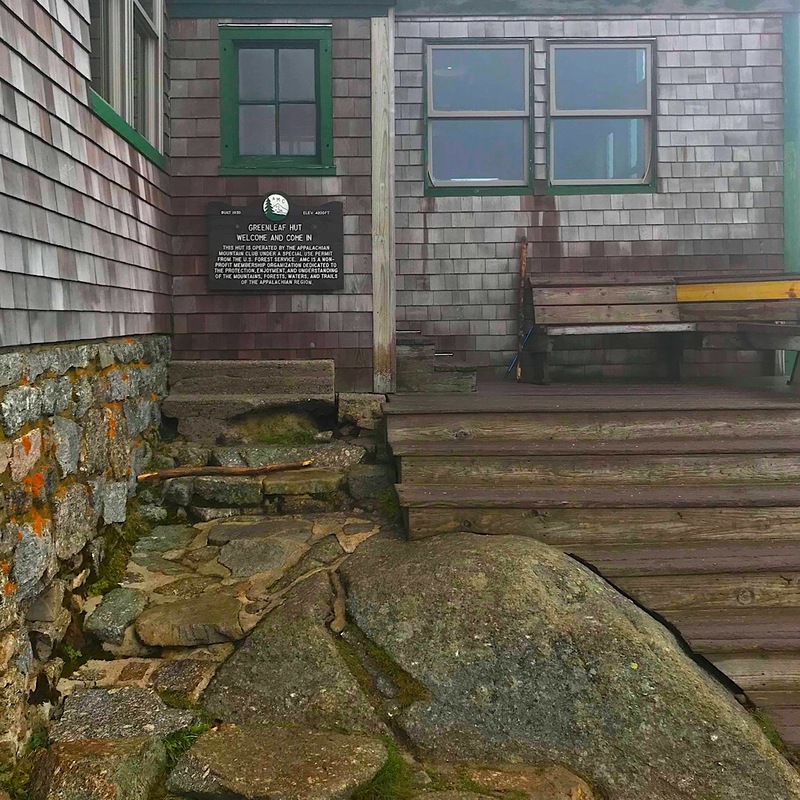 It is, after all, the crowning jewel of the world-renowned Franconia Ridge. Running the show on this hike, so to speak, was Redline Guide Ryan Mcguire. It was Ryan’s first solo lead with us but he keeps proving himself again and again so our confidence was high. We will let Ryan tell it from here with this summary he wrote along with a few photos. Popular mountain? Yes. But easy? You decide. Nancy negotiates some scrambles. This building, the AMC’s Greenleaf Hut, is unfortunately blocking the view. Where views end, the imagination begins as we walk through clouds and peer into the abyss. All is not lost. Congratulations on the summit, Nancy, and well done on the leadership part, Ryan.